Summary: Most who have been to Disneyland are familiar with the Dole Whip: the soft, creamy pineapple sorbet that is actually vegan, even though it is belied by its creaminess. People will stand in line for as long as an hour to get their hands on this delicious, frozen treat. 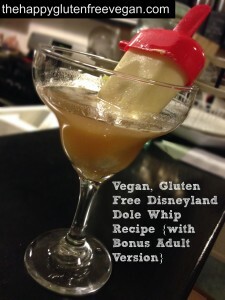 Most who have been to Disneyland are familiar with the Dole Whip: the soft, creamy pineapple sorbet that is actually vegan, even though it is belied by its creaminess. People will stand in line for as long as an hour to get their hands on this delicious, frozen treat. 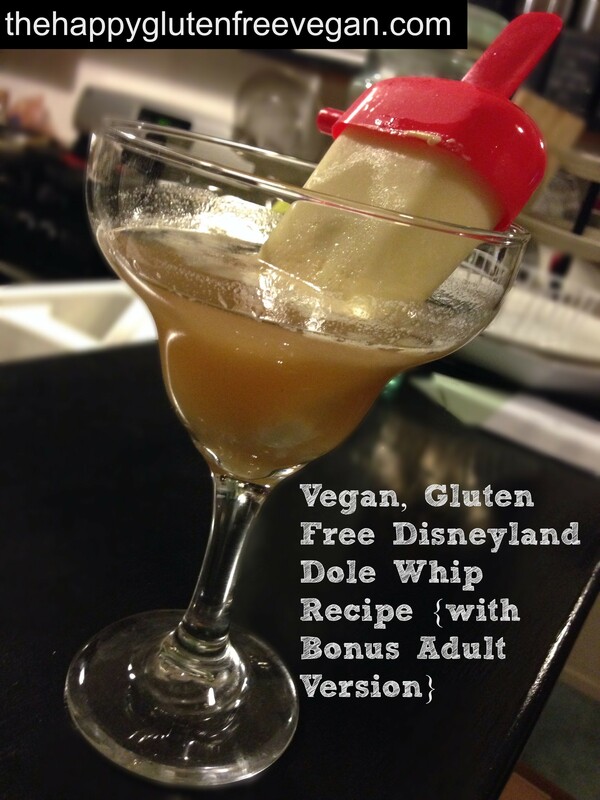 While the Dole Whip is vegan, added sugar can still be a concern. The truth is that, the homemade Dole Whip can be quite healthy, which will make both kids, and parents, satisfied with the final result. Pour ingredients into a high-speed blender, and blend on high until thoroughly combined. Pour into a large locking plastic baggie and freeze for 20-30 minutes. Pull out and scoop into serving bowls and serve. Alternatively, you can also pour the mixture into popsicle moulds and freeze into popsicles. For an adult version: Serve the whip in cocktail glasses, and splash with some rum. Be sure it is pure rum, which is gluten free, and not any sort of pre-made drink mix, which may not be.